April has just begun, so it’s time for another Monthly Favorites post! I say this in every single monthly favorites posts, but damn, where is the time going?! I guess what they say is true – time does go by quicker as you get older LOL. 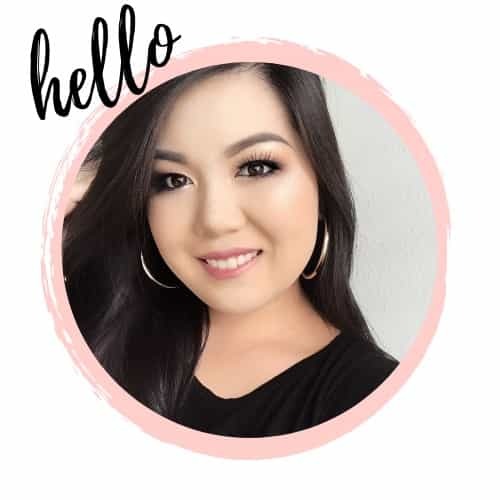 It didn’t seem like I tried out a whole lot of new makeup in March and I thought this month’s post would be really short, but I guess I tried out quite a bit because I had no problem gathering up a handful of my favorite products for this post! Most of my favorite products from March are very affordable and from the drugstore, with the exception of one super boujee product and one that is kind of mid-level, cost-wise. I’ve been reaching for these products constantly over the last month – they are all so amazing! If you’ve missed my recent Monthly Favorites posts, be sure to check them out, too! I’ve been trying to get my hands on this palette for so long! It’s been sold out everywhere since its release and every time a restock happens, it sells out instantly! So, I was shocked when I saw it in-store at my local Ulta a few weeks ago! And it totally lives up to the hype. I don’t play around with color much when I do my eyeshadow, but I’ve been wanting to get more creative with my makeup recently. And this is the perfect palette to get creative with! Not only does it include tons of fun, bold colors, there are also a lot of neutral shades included in the palette for those times when you don’t want to go crazy with the color. Totally a one-stop palette when it comes to shade range. I’ve been a fan of Morphe eyeshadows for years now, so it’s no real shock that I love this palette, too. Morphe shadows may not be the best shadows on the market, but they are pretty damn good. And especially for the price! The cost of this palette is higher than their other palettes, but you get SO MUCH. The palette is massive! You get 39 shadows for $39.00. That’s $1 a shadow, with the middle row consisting of massive pans. And pigmentation of the shadows are absolutely crazy, too. Many of the shades are actually pressed pigments, which means the color payoff is INTENSE. It takes a lot for me to be impressed by a primer – I’m REALLY picky when it comes to primers and have been using the same one for years. And I’m not exaggerating when I say the I was instantly impressed with the YSL Touche Eclat Primer. As soon as I applied it, my skin felt so silky smooth! I usually don’t like smoothing primers that have a gel-like consistency because it tends to make foundation slip around, but not this one! My foundation applies beautifully on top of it and the finish is flawless! My skin looks so smooth and it wears super well throughout the day. No weird separation or movement of my foundation! I do miss moisture when I’m using this primer, though. I’ll have to experiment with using a moisturizing primer under the YSL primer to see if it works just a well. If you've read any of my other posts and it seems like I talk about bronzers a lot, that's because I'm currently obsessed with them! And this bronzer is my newest obsession! This is not a new product by any means, and I really don’t know why I took so long to try it – I was really missing out! You might shy away from Milani’s Baked Bronzers because they look like they have a lot of shimmer in it. But, the shimmer barely shows up when you apply it to the face. If anything, the shimmer in the bronzer just keeps the bronzer from looking too matte (and flat). I personally love a glowy bronzer and I even add a bronze highlighter on top of this bronzer when I use it. But, I’m extra AF. This bronzer is so perfect for anyone that just doesn’t want a matte bronzer. The shimmer is so subtle, but it really gives you such a beautiful radiant bronze. It blends out beautifully and the shade Soleil is perfect for a natural bronze on light skin tones. If you’ve read any of my drugstore makeup posts, then you know how much I LOVE the Milani Baked Blush in Luminoso. I swear I rave about that blush every chance I get! I love the shade Luminoso so much that I just HAD to purchase this blush in two more shades – and neither of them disappointed! After trying three shades of the Milani Baked Blush line, I can say with confidence that the formula of the blush is just amazing. You get a lot of color payoff, without it being too saturated in color, and it blends out beautifully. Having different shades of blush is like having different shades of lipstick – you use the shade that fits your mood at the moment! So, you need a lot of different shades for every different mood you feel LOL. That’s why I would probably buy every single shade of the Milani Baked Blush. I don’t wear false lashes on a daily basis, but there are times when I want to really glam up and put a bold lash on. Because I have hooded eyes, it can sometimes be difficult to find bold false lashes that fit my eye shape just right. Until now! The new Eylure Luxe Cashmere No. 9 Lashes fit my eyes perfectly! They are definitely bold lashes for everyday use, but for those times when I want to glam it up, they are perfect! They are soft and wispy looking, but still thick enough to give a dramatic effect. I don’t know why I took so long to include this setting spray in one of my Monthly Favorites posts because I’ve been using and loving it for a while now! I mean – I got it months ago during my Ulta Haul. There are a lot of great setting sprays on the market and I’ll be honest, I don’t see a huge difference amongst them. Unless there’s something special about it, like it’s illuminating with specks of glitter in it, they basically all perform the same way. But, the thing that sets this spray apart from every other popular setting spray is the nozzle. Instead of the tradition spray bottle nozzle that comes on most setting sprays, this one has a continuous spray nozzle. Much like you’d see on spray sunscreens! The nozzle is what would make me buy this setting spray over and over again. Yes, it keeps my makeup in place really well throughout the day, but so do many other setting sprays. It’s the continuous spray nozzle that makes this setting spray so good! I hate when some nozzles malfunction and it’s like I’m getting sprayed with a water hose. But, that never happens with this nozzle! I’ve always been an acrylic nails girl. No matter what, I had my nails done. It’s been about a year and a half of having short nails with nothing on it and I was at my breaking point! You should ask my mom and boyfriend how many times I would say, “I miss my nails…” in a week LOL. So, I decided to take my nails into my own hands and start doing them myself! I found this gorgeous shade by OPI that fulfills all of my girly rose gold needs! It’s a beautiful metallic rose gold shade that leans more gold in bright light and direct sunlight. Basically, everything I could ever want. Also, this shade is a good level of opaque. I hate when a nail polish is so sheer that I have to put more than 4 coats to get it to be somewhat opaque. I just don’t have time for that! I only need two coats to get this shade to full opacity and could honestly get away with just one coat. And I’ve been using the Essie Gel-Setter Top Coat to create a gel-like manicure without actually using gel and the UV light. This top coat is pretty magical! My nail polish lasts two weeks with minimal chipping using this top coat and that’s really long for just regular nail polish! And that’s it for my favorite products of March! It’s seriously crazy how it’s already April. Have you tried any of these products? If you have, let me know what you think of them! And if you haven’t, will you be trying an of them out after reading this list?